Look for this special offer on Schneiders! 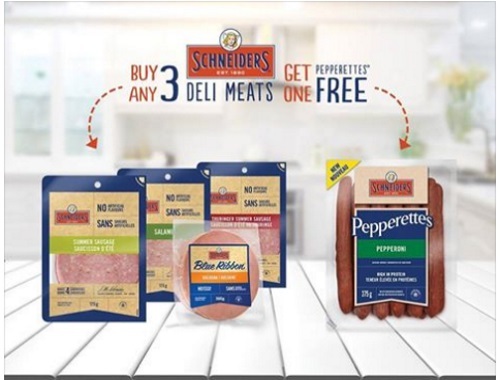 Get Free Schneiders Pepperettes when you purchase any 3 Schneiders Sliced Deli Meats. Offer valid in British Columbia, Alberta, Saskatchewan, Manitoba, & Ontario only.